Glennon Doyle’s memoir has probably changed my life more than any other. She writes about a life filled with eating disorders, substance abuse, depression, and marital problems, which she mostly ignored. Glennon was stuck in a purgatory of never dealing with her pain but never feeling true happiness. 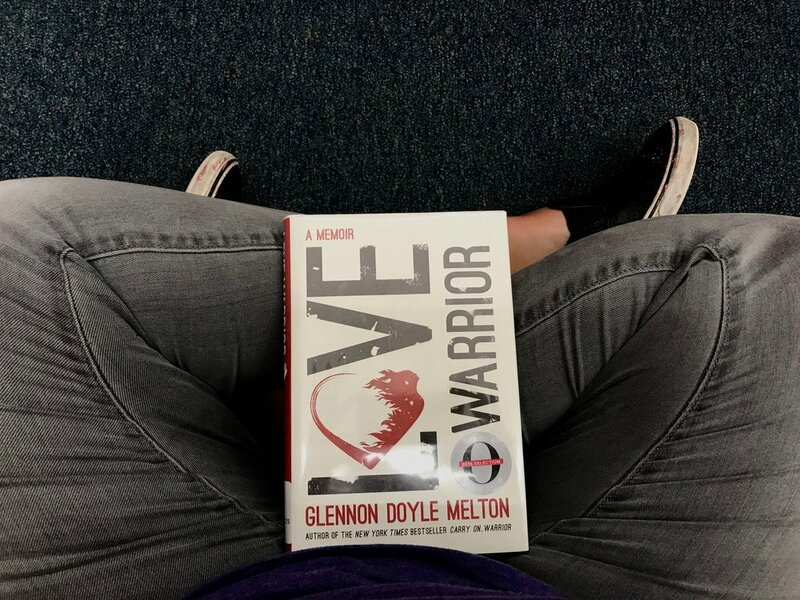 Love Warrior is the story of a woman identifying her pain, feeling it, and becoming a warrior through it. It is so raw and authentic. More than anything, Doyle taught me this: pain is inevitable, ignoring it will not help. We need to feel our pain. Dealing with our pain is the only way to experience true joy and happiness. And we are all strong enough to feel it and heal from it. Elizabeth Gilbert makes the case that creativity (whatever it means to you) is something humans need to act on. We need an element of creativity in our lives in order to live a life of joy, spirituality, and wonder. Gilbert explains that living a creative life does not mean you have to be a skillful painter or talented poet. Or even making a living from any of it. The only requirement is that it makes you happy. One day I sat down and wrote a short piece about a man I loved and the history of our relationship and how it changed me. I wrote it because I needed to process the relationship and my feelings for him. Until then, I never considered myself a writer, let alone a good writer. The experience of writing it out was profound and I realized that I needed the practice of writing in my daily life. 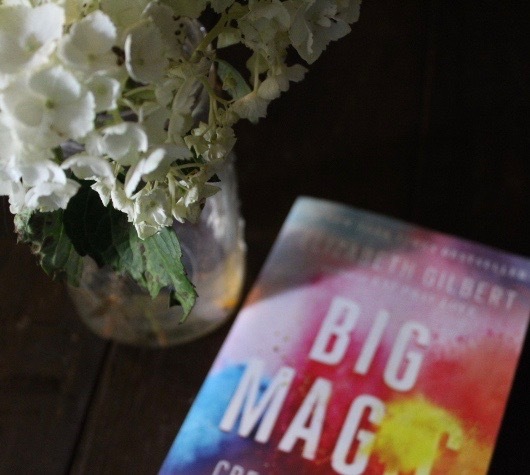 When I read Big Magic, I realized I didn’t have to be good at writing. I can just do it. And I should do it if it brings me joy. Designing Your Life is a great introduction to design thinking, the methodology used in areas like software development and product design. The authors teach us how to use design thinking to create a life that is both meaningful and provides a living. If you’re confused about your life, don’t know what you want to do, or if your plan(s) didn’t work out for you – this book is for you. Throughout Designing Your Life, you learn how to use design thinking to positively impact and change your own lives. The book taught me how to figure out what’s important to me, brainstorm and mind map ideas, have lots of plans, prototype, and keep going after it. In today’s tech/innovation world, we hear a lot of inspirational quotes telling us it’s okay to fail, but no one really explains why it is ok or how to do it well. This book does exactly that. Because just like Glennon taught me in Love Warrior, failure is inevitable, so figure out how to work with it, not against it. The Desire Map is part book and part workbook. LaPorte explains that we traditionally create goals because we hope that achieving that goal will fulfill us. Our goals are usually centered around a tangible thing, but what we really are chasing is a feeling. The Desire Map helps the reader get clear on what is important to him/her, define their personal values, and set their ‘desired feelings’. Then, figure out what you need to do to achieve those feelings, i.e. set goals and create action plans. I found this book to be profoundly helpful. It clarified what I really wanted to feel in life, not just what I wanted to do. I stopped making goals like, “lose 20 pounds”. Instead, I realized that the feeling I was craving was confidence and strength, so I set goals that would make me feel strong and confident, like running and improv classes. The process was cathartic and really motivating for me. I started making the biggest moves in my life after this book. I recommend doing the workbook every six to twelve months. The Confidence Code was recommended to me by a woman in my graduate school program that I deeply admire and respect. I was telling her the issues I was having at work, feeling inadequate and insecure. This book was exactly what I needed. I will admit that I haven’t read all of this book, but that’s another great thing about this book – you don’t have to read it from start to finish. You can pick and choose chapters, as you go, if you’re short on time. I mentioned above that I’ve read dozens of self-help type books but I only shared five here today. I chose these five because I think each of the authors come from a place of empathy, they blend science with love throughout their writing, and lastly, I believe no matter where someone is on their life journey, they can get a lot out of any one of these books. Happy reading!